Christ Church Calvert County, Port Republic, Md. The mission of Christ Church is to be a community of Jesus Christ's followers, worshiping in the Anglican tradition, proclaiming by our words and lives his Good News to all people, through worship, teaching, fellowship, and outreach. We are a welcoming, friendly, and family oriented community. 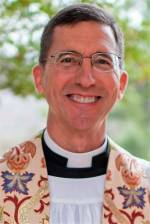 Parishioners value a traditional Christ-centered worship. Our congregation views the Church not only as a place of worship, and, as a vital part of the church mission, there is great involvement in various outreach and in-house ministries. Through a multitude of activities, parish fellowship is a priority. Newcomers immediately sense the enjoyment of friendship among fellow parishioners (frequently multi-generational) in a wide-range of activities and ministries. The majority of the members of the Church and friends of the parish are involved in the annual Jousting Tournament, Bazaar, and Church Supper, which takes place the last Saturday in August. Christ Church is an historic Episcopal church located at Port Republic, Calvert County, Maryland, United States. 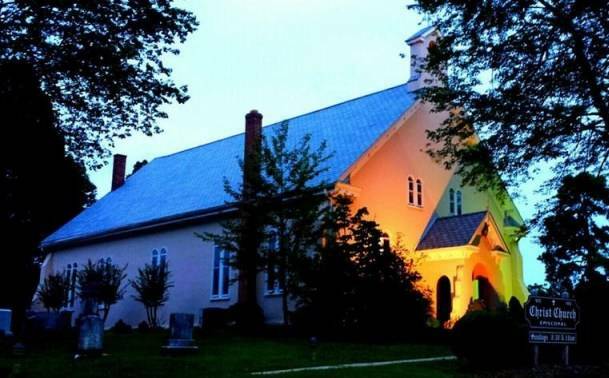 It is the mother Episcopal Church of Calvert County and its oldest continually worshiping congregation. Christ Church Parish was one of the original 30 Anglican parishes in the Province of Maryland. Burials in the church cemetery include former U. S. Representative Thomas Parran, Sr. and United States Coast Guard Admiral Merlin O'Neill. Christ Church was listed on the National Register of Historic Places in 1975.